More British train operators are offering Wi-Fi services on standard and first class passenger trains, with National Express East Coast leading the way in terms of providing free, widespread access for its passengers on all 43 of its trains currently in service. National Express, traditionally a coach service, has invested £3.2 million to date to ensure all its trains are fully Wi-Fi enabled. Great news for business users on the move, as well as for gamers that might want to grab a Mario Kart session with their mates via their DS's Wi-Fi service to while away those long, boring train journeys. 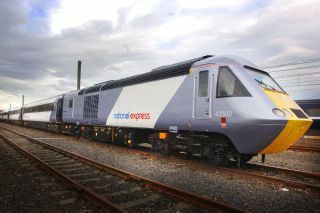 "We feel that we are ahead of the game in offering free Wi-Fi on UK trains,” National Express spokesperson Peter Brown told Techradar today. “We offer free Wi-Fi to all passengers, something that many of our competitors don’t offer,” Brown added. Wi-Fi used to be available from the previous operator GNER, but only as a first class perk. If you were in second class, then it was only available at an extra cost of £10. Many other operators are beginning to wake up to the benefits of offering free Wi-Fi to passengers. Virgin Trains’ West Coast line between London, Birmingham and Manchester, and other services such as Southern’s London to Brighton route have also added Wi-Fi, but still at a nominal cost. Paid-for Wi-Fi access is also currently available on most Continental high-speed trains across Europe, though lets hope that more operators follow the lead of National Express in providing free access for all.